If you are a patient should always undergo a vital examination regularly, might be pleased with the arrival of this technology. Now you need not bother if you want to undergo medical tests, simply by installing these tattoos only, then the medical tests, particularly tests vital to be very easy. 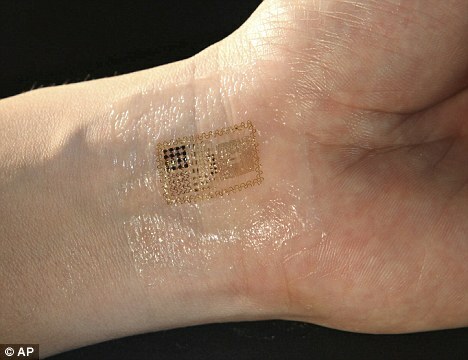 An American researcher named John A Rogers has created a tattoo that can detect a patient's vital organs. The tattoo, said as quoted by Dailymail, can detect changes in the body's vital signs, such as temperature, heart rate, as well as transmit data wirelessly examination results. 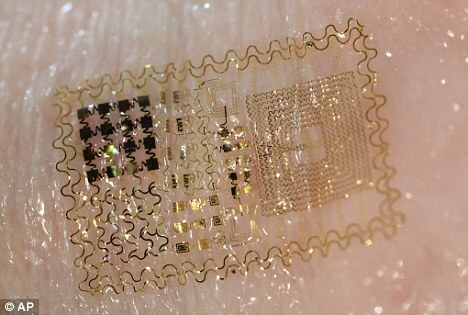 To create a tattoo that this high-tech researchers include an electronic sensor into a film that is thinner than a human hair. Then placed on a polyester film which is used for temporary tattoos that are often owned by the children.